The new Defender will be very different from the old one. This has been common knowledge for years. Land Rover has stated it over and over, to try and deaden the blow to old school Land Rover enthusiasts. Several Land Rover executives have now detailed a few ways that the new truck will be the same and different compared to the old one, and how they intend to keep the spirit of the Defender name alive. In an interview with Trucks.com, Joe Eberhart, CEO of Land Rover North America, shared some of the changes that will differentiate the new Defender from the beloved original. Most of all, it has to be a vehicle that appeals as a daily driver to a much broader audience. As endearing as a simple, loud, leaky Defender is for many enthusiasts, it does not make a bestselling daily driver for the masses. According to Eberhart, "the new Defender will retain some of the original appeal, but it’s a vehicle you can drive every day for as long as you want as opposed to the old Defender." According to Nathan Hoyt, a spokesperson at JLRNA, "The vast majority of people are living with this car day-to-day, so it needs to be refined and comfortable but also live up to that Defender name...I’ve driven the early prototypes, and they are so refined. I think everybody will find something to enjoy." However, don't think the Defender is going completely soft. Just as much as the new vehicle is designed for day-to-day comfort, it’s also designed to be capable. Approach and departure angles, durable components, and ground clearance are all considered of top importance. There will also be plenty of whizz-bang technology, likely at the minimum offering the off-road technology suite the other Land Rover vehicles offer. However, that cannot stand alone; per Pete Simkin, Land Rover's Vehicle Program Director, "[capability is] a combination of the basic physical things as well as having the right technologies. You need both geometry and the clever technology to support it." According to Eberhart, "You want to be able to scale something safely. The new twist is you should be able to do that as comfortably and unassisted as possible." As Jaguar Land Rover faces various financial troubles from various worldwide factors, the success of the Defender is vital to the success of the company as a whole. Just as the Range Rover and Discovery have spawned families of vehicles, a Defender family is possible, maybe even likely. Eberhart said that "there is potential for other vehicles. We’re launching the first one, and there might be others coming." There are already short-wheelbase 2-door and long-wheelbase 4-door test models in the wild, and rumors of a pickup truck. Theoretically, if the Defender were perceived as too soft when it's on sale, a more rugged model could also become a new "family member,” though this may be a bit of a stretch. Land Rover is also betting on the accessory market being big with the Defender, from roof-top tents to cargo carriers and tow packages. They will likely carry an extensive range at dealers, and the aftermarket will almost certainly go gangbusters for the vehicle. The future may resemble the accessory boom that supported Discovery 1 and 2 in the 1990s and 2000s. The new Defender may not be as rugged as the old one, and enthusiasts should know that loud and clear by now. But the goal is that it will be a catalyst for new markets to tap their dormant sense of adventure. It may not be able to conquer a 1980s Camel Trophy route or drown itself in a river and keep going. 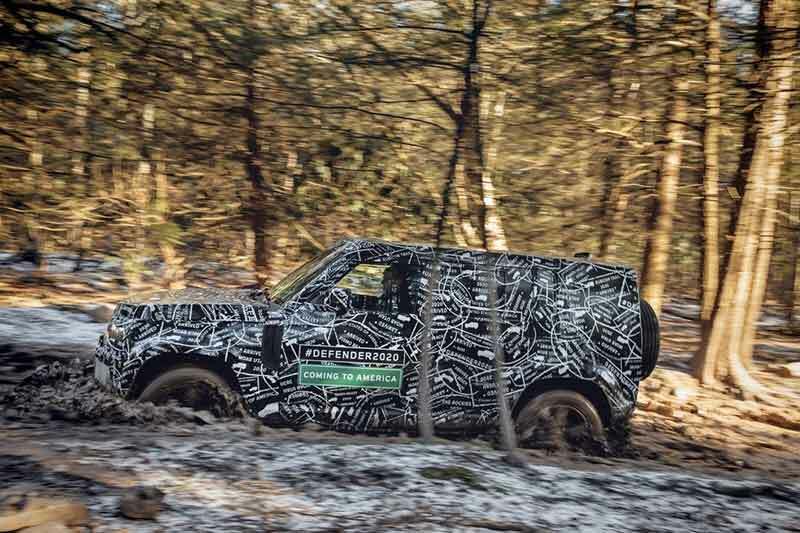 But if a still-very-capable vehicle with the Defender nameplate inspires new Land Rover fans to see new things and have new experiences, it should be wildly successful at its most vital task: inspiring that core Land Rover concept, the spirit of adventure.